It's an organization dream land. Organization lovers, this one's for you. Martha Stewart has the clothes in her closet arranged by item and color, spaced evenly apart — of course. No one would expect anything less. 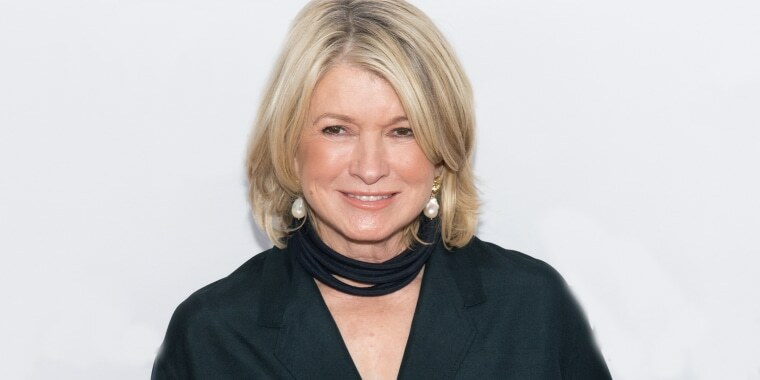 The domestic guru recently revealed her impeccable wardrobe in the latest issue of Martha Stewart Living, and it feels like the type of organization that would make your mornings — and maybe life — run a little smoother. Since her Bedford, New York, home didn’t have a place that could fit her entire wardrobe, Stewart converted a small unused bedroom into the walk-in closet last fall, tapping design consultant Chris Reynolds of California Closets to help. Featuring classic custom cabinetry from the company (in "Cashmere" finish), the room feels elegant but also functional. A two-sided bureau that Stewart already owned was transformed into a clothes-folding station. Topped with marble similar to the kind on her kitchen’s pastry counter; it also holds an antique jewelry box and mirror. Inside the drawers, each accessory is slightly staggered, making it so that every glove, scarf and shawl can be easily seen. And it looks like she lives by the "Mommie Dearest" rule: no wire hangers. Her favorites are made of sturdy wood (which match her floors, obviously). Want to steal the look? You can buy the walnut and brass hangers at hangers.com and Walmart. 1. Create laminated hanger tags for special items of clothes that need to be laundered by hand (click here to download a template). 2. Tape small printed labels to your accessories drawers to help remember what’s supposed to go where. 3. Organize your shoes by style for a clutter-free look. See more pictures of Stewart’s closet and get more of her genius organization tips in the April issue of Martha Stewart Living.